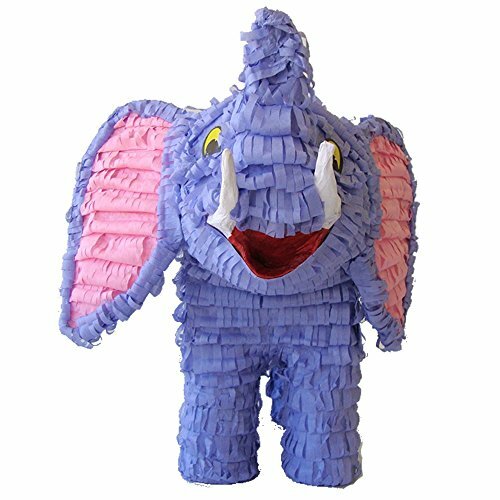 Our 3D Elephant Pinata is great for jungle safari or zoo birthday parties. Measures 18 inches tall by 18 inches long by 8 inches wide and holds up to 2 lbs. of candy and toys, enough for 8 guests (sold separately).